Sand Noise Device is an electronic instrument that users operate by moving sand and sensors around in a sandbox. 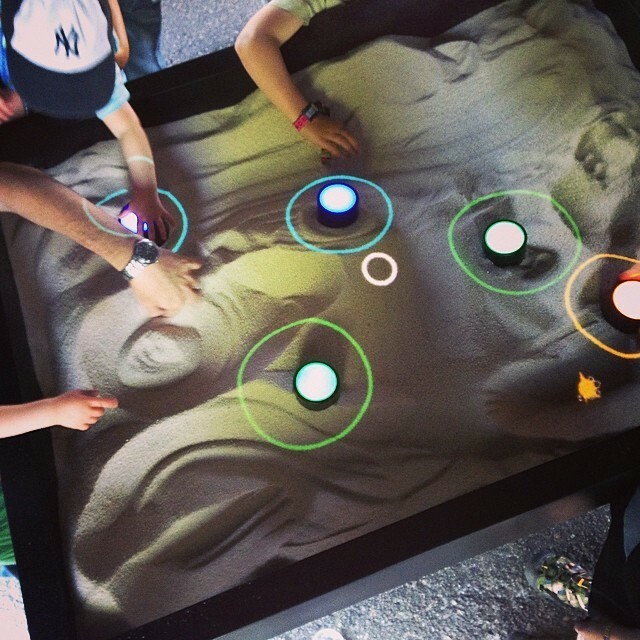 The device uses a Kinect motion controller to read the contours of the sand and the placement of the sensors. Music is generated from this data, along with graphics that are projected on the sand by an overhead projector. The device was created by four California State University East Bay multimedia graduate students: Jay Van Dyke, Devin Dominguez, James Saxon, and Matt Roads. It was recently exhibited at Maker Faire Bay Area.